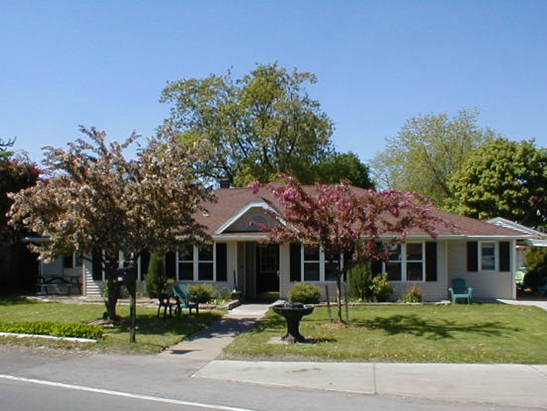 Community Missions operates two Supervised Community Residences in Niagara County through its Mental Health Housing Services (CHOICES) program. These programs are designed as transitional settings where residents work on gaining skills necessary for movement to another transitional program with less intensive services, or permanent housing. These facilities provide on-site, 24-hour staff supervision. For more information, please contact 716.285.3403 x. 2275. You may also access the Niagara County Adult Single Point of Access (SPOA) application form here. Canal View is a 12-bed (6 double bedrooms) single-site ranch-style Supervised Community Residence in North Tonawanda with a picturesque view of the Erie Canal from the spacious front porch. Hansen House is a 10-bed Supervised Community Residence located in Niagara Falls. This facility has been designed for its purpose with 10 single bedrooms and handicap accessibility. Choice and intensity of services provided is based upon resident preferences as well as assessment of needs and functioning levels.